The public is invited to participate in Amgen Tour of California Stage 4 race day fun in #cyclingmecca Morro Bay. 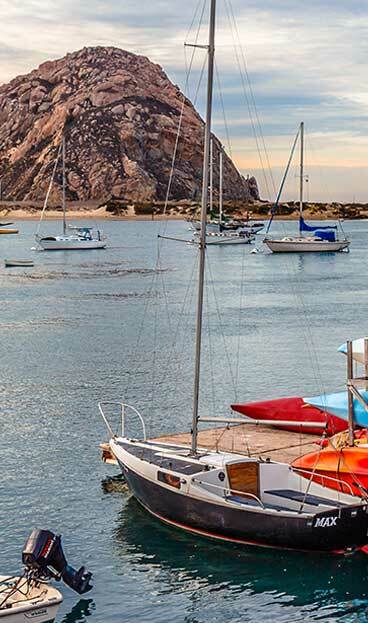 The 2019 Amgen Tour of California announced Morro Bay will host the Stage 4 Finish of the men’s race on May 15, 2019 following the scenic route the Amgen Tour took in 2017, when Peter Sagan won the sprint finish. After passing through picturesque Morro Bay State Park, where riders get their first glimpse of iconic Morro Rock, they ride along Morro Bay’s busting waterfront before sprinting uphill into downtown Morro Bay for the big finish. Amgen Tour of California is a Tour de France-style cycling road race created and presented by AEG that challenges the world’s top professional cycling teams to compete along a demanding course that traverses hundreds of miles of California’s iconic highways, byways and coastlines each spring. Tour officials say the 2019 race will be the longest and most challenging in its 14-year history. Many volunteers are needed to make this event a success. You don&apos;t have to live in Morro Bay to participate. Click here to sign up and see the race up close!